Window Cleaning Industry Information mixed with Personal Thoughts, Ideas and Inspirations. This is a re-post from prior years, it’s always fun to have some Turkey Fun Facts. Be safe and enjoy your Holiday! Where do Turkey’s get their name? Have you ever wondered what Turkey (the country in the Middle East) and the American bird have in common? A case of mistaken identity resulted in the American Turkey being named after the country. When the Spanish first found the bird in the Americas more than 400 years ago they brought it back to Europe. The English mistakenly thought it was a bird they called a “turkey” so they gave it the same name. This other bird was actually from Africa, but came to England by way of the Turkey (lots of shipping went through Turkey at the time). The name stuck even when they realized the birds weren’t the same. The turkey is one of the most famous birds in North America. 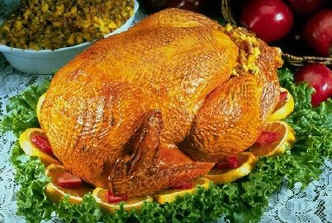 In fact, Benjamin Franklin wanted to make the wild turkey, not the Bald Eagle, the national bird of the United States! The turkey’s popularity comes from the American people’s love of eating the bird for special occasions like Thanksgiving and Christmas. The wild turkey we usually see in photos or pictures is not the same as the domestic turkey that we serve at Thanksgiving. Domestic or tame turkeys weigh twice what a wild turkey does and are raised on farms for profit. Most domestic turkeys are so heavy they are unable to fly. After the female turkey mates, she prepares a nest under a bush in the woods and lays her tan and speckled brown eggs. She incubates as many as 18 eggs at a time. It takes about a month for the chicks to hatch. Wild turkeys (Meleagris gallopavo) live in woods in parts of North America and are the largest game birds found in this part of the world. They spend their days foraging for food like acorns, seeds, small insects and wild berries. They spend their nights in low branches of trees (yes, wild turkeys can fly!). Wild turkeys are covered with dark feathers that help them blend in with their woodland homes. The bare skin on the throat and head of a turkey can change color from flat gray to striking shades of red, white, and blue when the bird becomes distressed or excited. When the babies (known as poults) hatch they flock with their mother all year (even through the winter). For the first two weeks the poults are unable to fly. The mother roosts on the ground with them during this time. Peacocks aren’t the only birds who use their fancy tails to attract a mate. Each spring male turkeys try to befriend as many females as possible. Male turkeys, also called “Tom Turkeys” or “Gobblers” puff up their bodies and spread their tail feathers (just like a peacock). Turkeys grunt, make a “gobble gobble sound” and strut about shaking their feathers. This fancy turkey trot helps the male attract females (also called “hens”) for mating. Caruncle – brightly colored growths on the throat region. Turns bright red when the turkey is upset or during courtship. Gizzard – a part of a bird’s stomach that contains tiny stones. It helps them grind up food for digestion. Hen – a female turkey. Poult – a baby turkey. A chick. Snood – the flap of skin that hangs over the turkey’s beak. Turns bright red when the turkey is upset or during courtship. 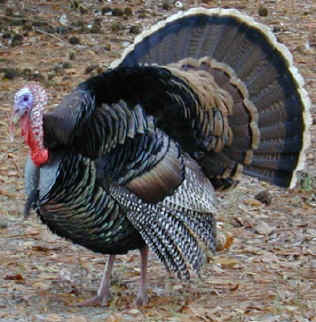 Tom – a male turkey. Also known as a gobbler. Wattle – the flap of skin under the turkey’s chin. 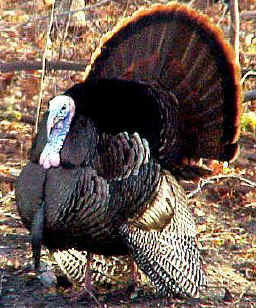 Turns bright red when the turkey is upset or during courtship. John Gran (@FishSouthBay) is an entrepreneur and former marketing and product development executive who has grown his successful Fish Window Cleaning franchise in the Los Angeles – South Bay area to become a leading professional in window cleaning services for business owners and home owners. With his popular blog A Clear View Through Clean Windows, John shares his window cleaning expertise by addressing topics and answering questions that customers continually ask him during his day. He also uses window cleaning pictures, inspirations and stories about his business to demonstrate the fundamentals for building a strong, healthy, thriving business. If you have a question or would like window cleaning services click Here or Call 310-973-3474 for a Free, on-site written estimate. How Often Should I Replace My Window Screens?